It is estimated that 80% of parents give their children the wrong dose of an over-the-counter medication at any particular moment. There are many reasons for this. You may have lost the package the medicine came in, the liquid may have poured on the bottle making the label useless or you always have difficulty peeling the outer label to get to the directions. What about those warnings: “Do not use if your child is less than 4 years old”. And your child is 3 years and a few months. Should you estimate a dose? call the pediatrician? or give the minimum dose written on the bottle? If my son who is 8 years old gets 2 teaspoonfuls of a medication, then my daughter who is 4 years of age should get 1 teaspoonful you will reason. Finally! those days are gone with this new app called Self-Care Health. 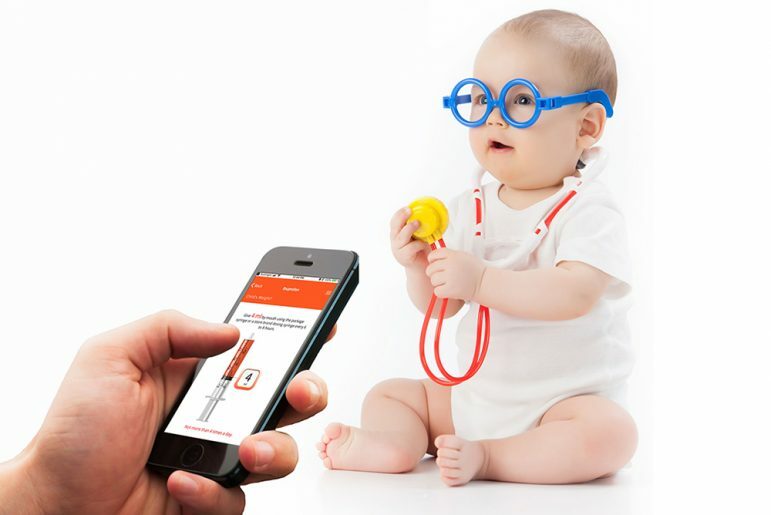 This app gives the dose of children’s over-the-counter medication using a child’s weight. 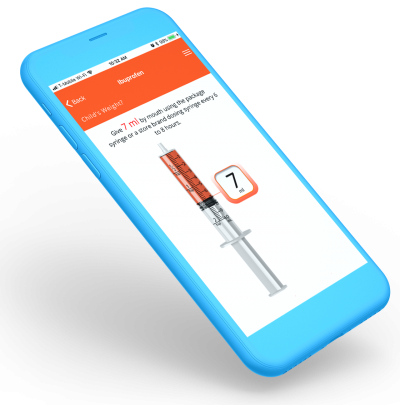 Not just dosing by weight for acetaminophen or ibuprofen which is the standard for any kids dosing apps in the market today. But dosing by weight for Benadryl! What about Claritin, Dimetapp, Pediacare, Triaminic, Tums, Robitussin, Mucinex, and even Milk of Magnesia? Yes. You can get the dose of these children’s over-the-counter medications just by using the weight of your child. Let me share this story about my experience using this app with you. One day my child was sick. He was running a fever. My wife called me at work (Pharmacy) to see what to do. I told her to let’s see how things go. Meanwhile, I will buy a fever-reducing medication, Acetaminophen, on my way home to give to the child should the temperature not come down. Well, I figured we must have a fever-reducing medication at home and no need to buy one. On getting home, I checked my son’s temperature and it was on the high side. Usually, I won’t give fever medications unless the temperature is at a certain level. But I was tired, having worked a 14 hour day, and I know my wife won’t rest all night until the fever comes down. So I decided to grab an ibuprofen from the refrigerator and give a dose to my son. I looked at my son, remembered his age and after glancing through the medication label decided to measure out a dose of 5 ml (1 teaspoonful) of the ibuprofen to give to him. As I was about giving it to him, my wife said she wanted to try something out. She had been invited to be a beta tester for this app called Self-Care Health. 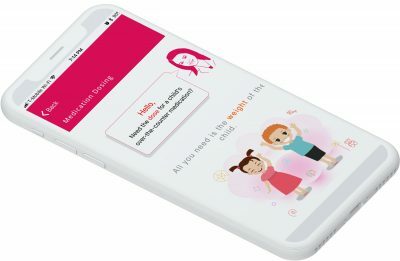 The app has a children’s dose by weight feature and she wanted to see how useful it is in a real-life situation. Off she goes powering on her phone and navigating to the app. Here I am holding the medicine syringe and hovering over her to see what she is doing. With the app, you had to answer very useful questions before getting the dose. First question. “Check the expiration date.” She reached for the bottle. Checked the expiration date. It was expired. Nine months ago. I took it from her, that is not possible. Well, I was wrong. You never know how long a medication has been in the fridge especially seasonal medications for allergy and so on. Oh well, I had to start looking for my car keys so I could go to the nearest pharmacy to buy another bottle. We decided to finish using the app just in case. The app asked for the child’s weight. We told my son to jump on the scale. He was 51 pounds. The app said to give 9 ml by mouth. I was going to give 5 ml earlier. That is basically half the dose he was supposed to take. Not only was I going to give my son an expired medication, but also half the dose and I will be wondering why the fever is not coming down. Well, to cut a long story short, I am no longer the pharmacist of the house. This app has replaced me. My wife would rather check this app first before asking any question. Oh well, stuff happens. There are many features of this app that are not only life-saving but the best for self-care. I will highlight the features as it relates to children’s medicine dosing by weight. I encourage you to download the app and see the other features. 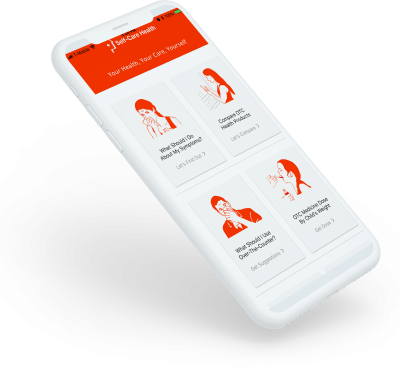 It is an amazing self-care healthcare app. It starts by making sure you are giving the right medication. Sometimes, too many over-the-counter children’s medicine to choose from. Bottles look alike, the labels are too tiny to read and that is if you can open the “Peel here for directions” sticker. Imagine trying to do that with your child feeling cranky and your anxiety is through the roof. Before you know what is happening you just want to give him or her something and throw caution to the winds. It makes sure you are doing the right thing. Check the expiration date. How many of us remember to check expiration dates on medicine bottles we keep in the fridge. If the bottle is not empty, it is not expired. This app also reminds you of what to know before you give the medicine to your child. What will happen if you overdose? is the child taking another medicine with this? Is the child allergic to any of the ingredients? Double check the strength of the medicine again. These are some of the questions you are forced to answer before you can get the dose. 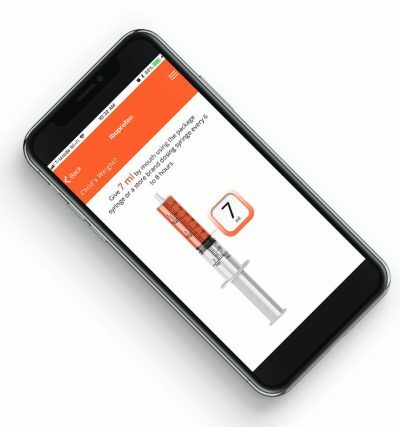 The interface is so simple to use that I told my son who is 9 years old to use it to get the dose of a medication to take when he had a headache. I had to double check of course. But it was so easy for him to use. I am sure it will be easy to use if you have a child crying on one hand and you are trying to see what dose of a medication to give. The doses of the medication given are dead accurate to the “ml/lb”. They had a team of pharmacists crunching out these numbers and finally put them in a user-friendly form for all to use. I particularly like the images of the medicine syringes or tablets you see on what dose to give. You can save this dose. Save the doses and names of medications for all your kids for as long as you want. Access the dosing information from any device. You can add a comment as to why you gave the child the medicine in the first place. This becomes useful if you have to see the pediatrician or go to the emergency room. For instance, gave the child medication because the temperature was over 102 degrees, will be saved as a comment for you. You must download this app called Self-Care Health before you give your child another over-the-counter medicine. If I screwed up giving my child the correct dose of a medication as a pharmacist, don’t take chances. If you underdose, it might not work. Overdose and the child may end up in the emergency room. What about getting the dose of these medications anyway when all the bottles always say one thing or another. “Under 6 years of age, consult your doctor” or “Do not use if under 4 years without consulting your doctor”. Now, I am not trying to promote self-medication. But I don’t think I will be calling the pediatrician at 1 a.m to get the dose of Dimetapp to give my child who is sick and I think Dimetapp will help just because he or she is 2 months below the manufacturer’s recommended cut off age. You won’t want to estimate a dose either. Hence the need for downloading this app. Just to let you know, this app also has other valuable features. It is basically about 5 apps in one if you ask me. I leave it for you to find out for yourself. So go ahead, check it out. 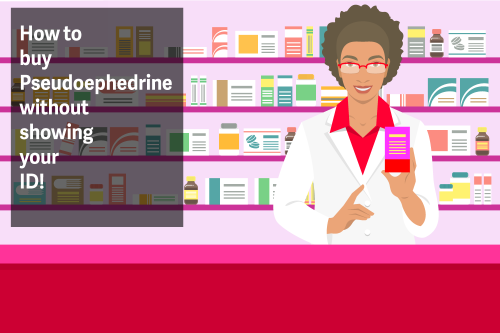 Tired of showing your ID to buy a pseudoephedrine at the pharmacy counter? These tips will not only save you time but save you money and your dignity! 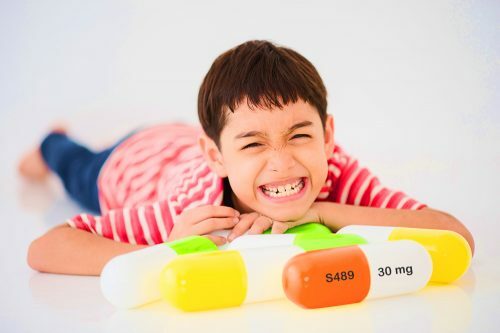 Is your child taking Vyvanse? Here is how 12 hours on Vyvanse feels like for your child. Thinking of how to swallow that big pill? Does that tablet leave an after taste in your mouth? Or perhaps you just don’t like to swallow any pill. You are in good hands. 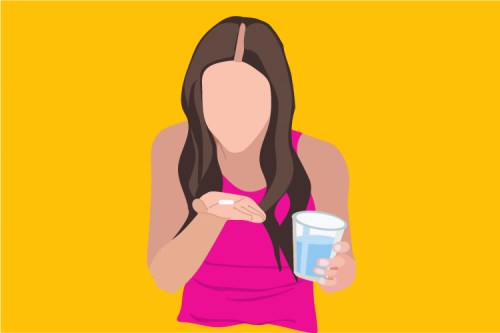 Here is how to swallow a tablet or capsule no matter how big or yucky it may taste.